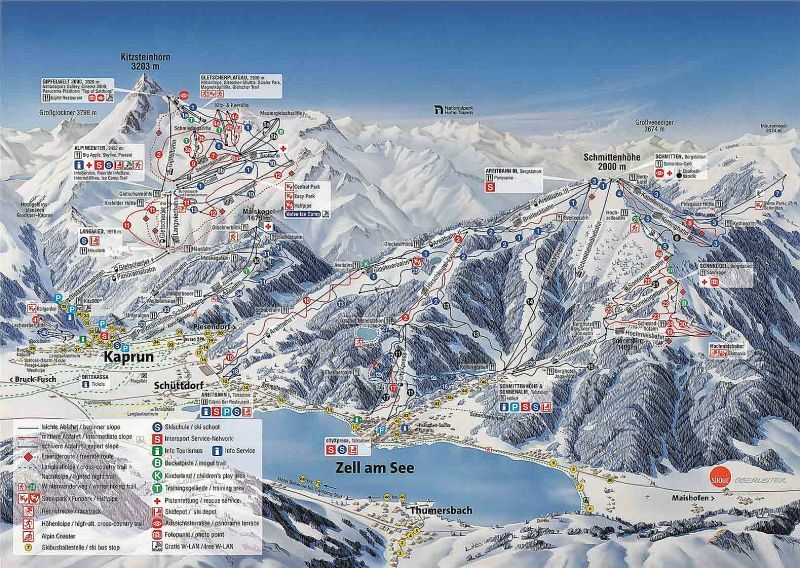 Considering buying a ski resort property in Austrian Zell am See or Kaprun? Before checking out our collection of luxury ski apartments and chalets, have a look at our resort guide with a list of must-do year-round activities and attractions in the area! A superb dual season resort with two idyllic villages set against a fairytale-like natural backdrop. The ultimate winter wonderland supported by some cutting-edge sport infrastructure and a perfect destination for active summer holidays with countless hiking, biking and water sport activities. 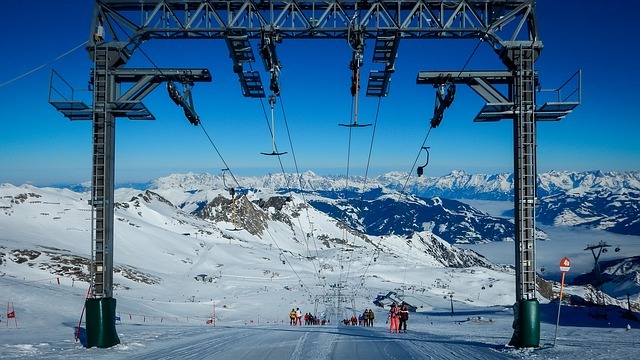 Don’t miss: Try the “all-at-the-same-time” experience in summer: ski in the morning on the slopes of the glacier, then head back to Zell am See and soak up in the warm waters of the lake or take a walk around the village in your flip-flops. There is only few places in the world that offer such experience. Two picturesque alpine villages, a crystal-clear lake, three mountains with fantastic well-groomed slopes for all levels of difficulty, among them one glacier offering year-round skiing - this is the Europa Sportregion, a mecca of winter sports. The resort has plenty of fun opportunities to offer to summer sport enthusiasts as well amid some dramatic mountain scenery. With its 3 mountains, the Kitzsteinhorn Glacier, the Schmittenhohe and the Maiskogel, the Europa Sportregion offers a great terrain diversity for skiers and snowboarders who can choose between gentle family slopes, some medium difficulty red slopes or sporty and challenging downhill runs. And it is not just about the terrain, the scenery is equally varied with open glacier slopes or well protected forest slopes rolling down all the way down to the village. 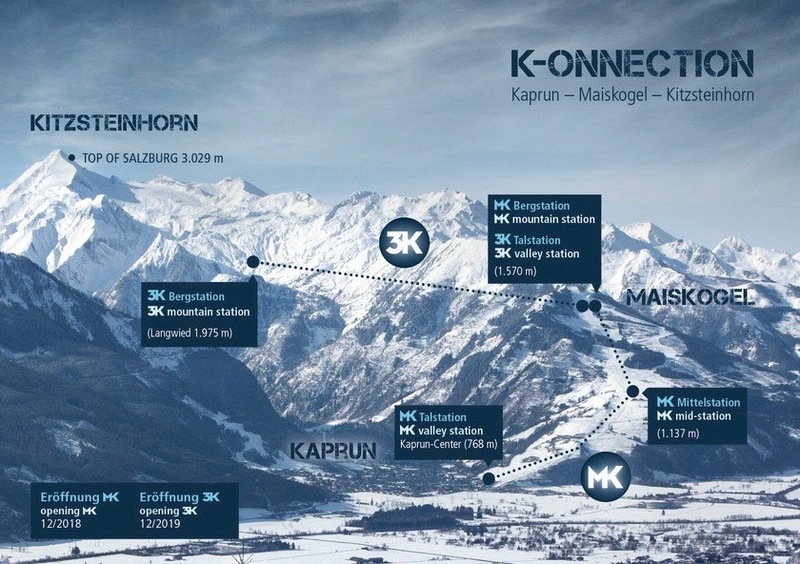 The resort is continuously modernising its facilities with the next novelty that visitors can look forward to in 2019 being the K-ONNECTION project which will merge the Maiskogel and the Kitzsteinhorn into a single ski-in-ski-out centre. Thanks to its high altitude, the Kitzsteinhorn Glacier gets a lot of pristine light powder snow throughout the season allowing freeriders to practice their powder lines and cliff jumps on the 5 freeride runs of the glacier. And if you did not have enough fun during the day, you can always continue skiing after dark on the night piste in in Zell am See. The après-ski scene starts at the top of the mountain at the Schnaps Hans and goes on down in the town where you can continue to party in your ski boots until late. If you prefer to enjoy the mountain tranquility, then you should plan a day of cross-country skiing. The “Castle Track” is a gentle and relatively flat track leading to the Kaprun Castle and offering some stunning panoramic views. Overall 107km of perfectly prepared cross-country track await you. If you just need a quiet stroll, snow-shoe hiking is another popular activity with a wide choice of footpaths. For adults and children alike, the Maisifliitzer is probably the most spectacular coaster in the Salzburg area and will take you for an exhilarating ride. If you are after some rest and relaxation after all this, do pay a visit to the modern facilities of the Tauern Spa Kaprun or the Zell am See Leisure Centre and dip in one of the thermal water pools. 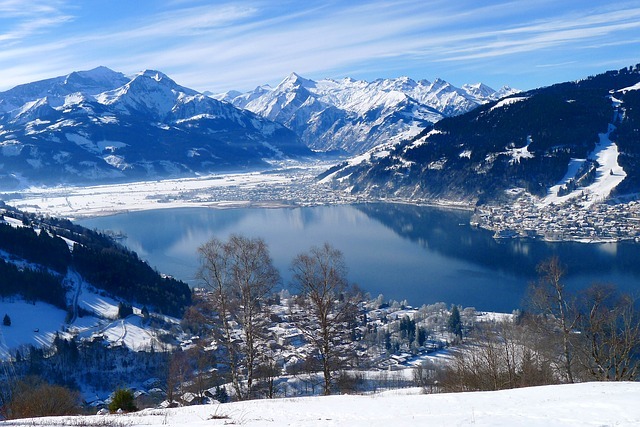 The crystal waters of lake Zell, hundreds of kilometres of signposted hiking trails and cycling tracks, dramatic peaks ideal for all sorts of adrenaline sports, the Zell am See - Kaprun area is an eldorado for the perfect summer holiday. 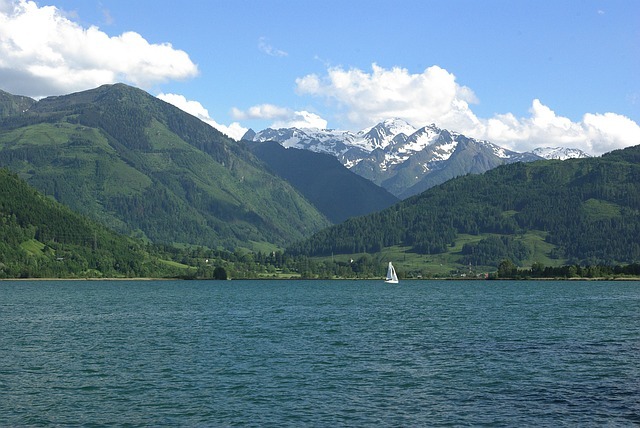 The Zell lake will provide you with water entertainment for several days whatever your favourite pastime is, from swimming, sailing, boat trips, fishing or even stand-up paddling. For keen golfers, the two 18-hole golf courses have varied terrain with small ponds and natural biotopes under the shades of the dramatic summits. The two high mountain reservoirs make for an interesting walk where you can marvel at the technology of the power generators built in the post-war years. And children will love the trekking tour with lamas and alpacas organised by the tourist board. For something special, why not try a yodelling course on the Schmittenhöhe where you will learn the basics of this quintessential Austrian singing technique? Finally, a visit to the Gipfelwelt 3000 viewing platform is a must to appreciate the majesty of the mountains. After all the sport, you will definitely deserve to stock up some energy and you will be amazed by the culinary spectrum this region can offer. Whether you eat in cosy rustic inns or fine-dine in some of the more formal restaurants, what they have in common is the freshness and quality of its ingredients and products. Once you get tired of the hearty snacks from the region, you can have a meal in one of the many international eateries that you will find across the area.